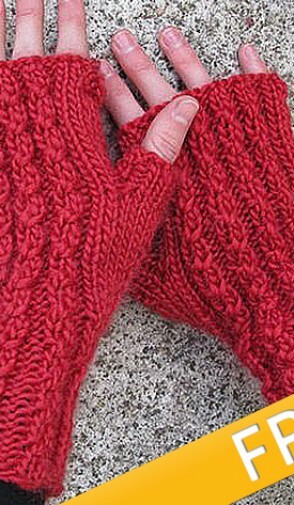 These easy to knit mitts are worked from the cuff on double point needles with a simple faux cable design in a very lux yarn. Sized to fit women and some men in worsted weight yarn, they are very fast to knit, great for a last minute gift. As part of the Stitch Red campaign, they were featured very briefly on the today show, held up by Kathy Lee Gifford. 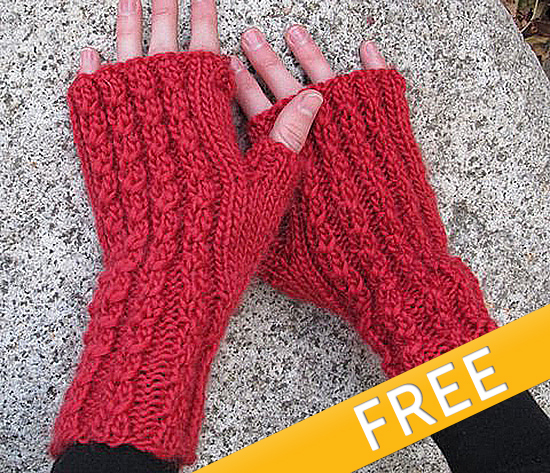 Download a Free copy of our Knit Red Cable Mitts for the Stitch Red Campaign, as seen on the TODAY! Show.